Each year, fire departments across the country respond to roughly 350,000 house fires — many of which could have been prevented. Home fires can spread rapidly, often leaving homeowners as little as two minutes to escape. To reduce your chance of ever experiencing a house fire, and to know what to do in the unfortunate event that one does occur, read below for some of our top fire safety tips, in honor of Fire Prevention Day. Cooking equipment. Especially when left unattended, pots and pans can overheat and start a fire. Space heaters. When left too close to fabrics, like furniture, curtains, and clothes, space heaters can quickly start a fire. If you’re using a space heater, make sure it’s at least three feet away from anything flammable. Smoking. For fire and health reasons, you should never smoke inside. When not put out properly, cigarettes can stay sparked for several hours and come in contact with flammable materials. Candles. Homeowners should always blow candles out once they plan on leaving the room and never leave a candle unattended. Smoke alarms. You should install one smoke alarm in each bedroom and main room of your house (kitchen, dining room, living room, etc.) as well as hallways and entrances. You should also test your fire alarms every month. Home fire sprinklers. 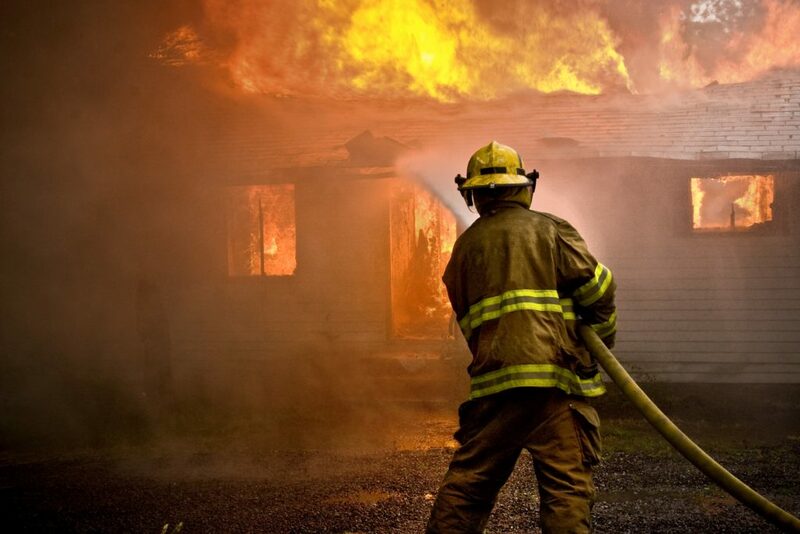 Home fire sprinklers are the best defense against home fires. In many cases, sprinklers can put out fires so quickly that homeowners can return back to their home and normal lives in just a few days. Fire extinguisher. Every floor of your house should have a fire extinguisher that’s easily accessible and that every adult in the home knows how to use. Fire retardant building materials. Many siding and roofing materials we offer at JM Roofing and Siding are fireproof, meaning they won’t ignite if a fire starts. Not only will this keep your home and family safer, but many insurance companies will offer homeowners a discount on their home insurance. Especially in homes with children, talk to your family about what to do in the event of a fire, stop, drop and roll, and how to use a fire extinguisher. Establish a meetup point somewhere outside of your house that everyone knows to go to in the event of a fire. For a FREE estimate for any of our siding services, give us a call today at (203) 299-0716 or request an estimate online.